Last Wednesday the NFL presented arguments urging Judge Brody to appoint a special fraud investigator in the troubled Concussion Settlement, in which as of May 29, only eleven dementia claims have been paid. Attorney Richard Tarlowe, speaking for the NFL stated that at least 440 claims had been flagged as potentially fraudulent based on “material misrepresentations or omissions.” As I noted in an article written shortly after the NFL filed their motion requesting a fraud investigator, many of these issues are of their own creation based on past actions of hostility to former players, especially in the realm of disability denials. Tarlowe presented a lengthy PowerPoint presentation in which he sought to convince the Court of the league’s position, but neither his arguments, nor the slideshow presented any new or conclusive evidence of mass fraud. Claims from players examined by Dr. Serina Hoover, whose participation in the program was disqualified was a primary focus of the NFL’s position. The principal reasons given for discrediting Dr. Hoover’s diagnoses were that as many as eight players were examined by Dr. Hoover in a single day, and that 108 out of 155 patients had traveled from out of state for their examinations. I’ve interviewed about a half-dozen former players who were examined at Dr. Hoover’s clinic, and independently each reported that he received what he felt was a legitimate neurological evaluation, lasting between six and eight hours. The examinations, however were not personally performed by Dr. Hoover, but members of her staff, with Dr. Hoover checking in periodically. It appears Dr. Hoover did skirt the rules in signing off on all 155 examinations instead of the having the clinicians who performed them signing off, but this seems to be more of a formality than a scam, as it has been inferred by the NFL. Out of state travel is not necessarily a sign of ill-intent as the NFL would portray it. Just about any attorney who handles personal injury cases will retain a doctor or doctors based on various criteria with whom they contract for medical services to their clients – in fact, that is one of the services that many players expect from their legal counsel, especially players in a financial bind who cannot afford to pay for examinations on their own. The fact that attorneys tend to utilize one or a small handful of doctors is typically a matter of efficiency rather than misconduct. In an multidistrict proceeding such as the concussion case, attorneys represent players from across the country, and not just those in close geological proximity. To use a unique doctor for each client would present both logistical and bookkeeping nightmares, which the NFL almost certainly is aware of but still argues to present doubt as to the credibility of both the attorneys and physicians, and in some instances, the retired players. Judge Donato further ruled that the Plan had abused its discretion in considering only the findings of Plan retained doctors and discarding those of Mr. Dimry’s personal physicians. “We developed information and evidence that the NFL has a network of doctors that it trains and then handsomely pays to make disability determinations for their players,” stated Terrence Coleman, the attorney representing Charles Dimry, in comments to Law360. This seems to be the modus operandi of the Settlement as well, in that most disputes involve pre-effective date claims in which examinations were conducted by either personal physicians or physicians utilized by attorneys representing the players. Post effective date claims, according to Settlement provisions require diagnoses to come from Settlement approved and retained BAP or MAF doctors. As pointed out in Locks Law Firm’s motion for a role in settlement implementation, manuals have been provided to doctors retained for the settlement program but these have not been made available to any lawyers outside NFL Counsel, Seeger Weiss, and Claims Administrator BrownGreer. Still, it appears that the NFL wishes to leave no stone unturned in order to tilt the odds of approved claims further in their favor. One of the exhibits featured in the NFL’s presentation was a short YouTube video of a player giving a motivational speech to a youth group. In their view this meant that his Alzheimer’s diagnosis was fraudulent, despite the slow progressive nature of the disease, and the fact that in many documented high-profile cases such as Glen Campbell, Pat Summitt, journalist Greg O’Brien, and even former President Ronald Reagan, the patient was not robbed of his or her speaking ability, nor the ability to perform some work until later progressions of the disease. Arguments from NFL Counsel tended to fall in line with circumstantial evidence of players speaking coherently, working or owning a business, or being seen in public in a well-groomed or properly dressed state, none of which, especially without proper context are firm evidence of fraud. The NFL’s most convincing evidence was presented as emails or texts from a claims service that purported to coach players in passing a neurological exam. While if the evidence was presented in context it gives a bad look to the claims provider, the NFL’s past mistreatment of players through the Disability Plan and other attempts to discredit players’ and minimize the impact of brain injury likely caused some players to believe that a legitimate diagnosis was insufficient to have a claim approved, causing them to fall prey to yet another predator with empty promises. The NFL’s stated purpose in the appointment of a fraud investigator is to endow them with the authority of subpoenas and depositions that could determine “purposeful intent” and potentially be used in complaints with licensing and ethics boards or result in criminal investigations. Co-Lead Class Counsel Chris Seeger did not oppose the NFL’s motion but did point out that the fraud was not “widespread” as the NFL claimed. 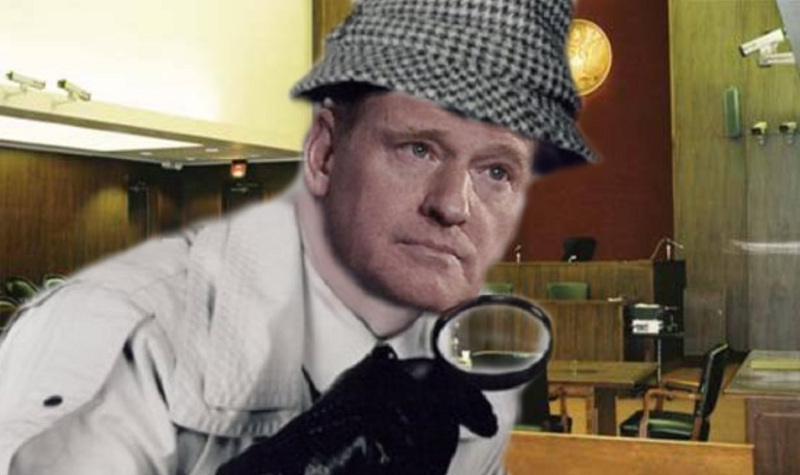 Seeger opined that at least 300 of the over 400 claims referenced by the NFL did not appear to be fraudulent and those that did seem questionable were led by doctors or lawyers and that the investigator’s role should be limited to investigations of professionals but not players. Judge Brody injected that nothing has been paid out that was questionable. Perhaps most importantly, Weinshall pointed out that should an investigator be appointed with the authority requested by the NFL, it would greatly discourage participation in the program by doctors, lawyers, and players who might fear being unfairly targeted. Attorney Gene Locks, who also spoke on behalf of the players reiterated Weinshall’s concerns and said that the Claims Administrator and Special Masters had done a “remarkable job” in weeding out questionable claims. Locks further stated that 95 percent of the questionable claims were in regard to pre-effective date diagnoses and the stringent and evolving requirements placed on them. He noted that most of these claims have already been filed and the questions are being addressed. Since future claimants will have to proceed through BAP and MAF doctors agreed to by the NFL, he stated that there is no need for an investigator for these diagnoses. “You can’t take BAP claims and claim widespread fraud,” he said. Both Locks and Weinshall stressed that appointment of a fraud investigator would only serve to slow down an already painfully slow claims process. Judge Brody seemed to agree. “That’s a primary concern of mine…[t]here will be absolutely no special investigation if it in any way curtails the payment of claims,” she stated. She also noted that she had only seen one case of potential fraud against a player out of nearly 20,000 registered claimants. She did not indicate, however, the direction in which she planned to rule, rather calling all counsel to a private conference in her chambers at the conclusion of the hearing. Commissioner Goodell was not at the hearing, nor were any of the league’s 32 owners who control the attorneys for both the Disability Plan and the Concussion Settlement. Instead, the billionaire executives put lawyers in place to act as their well-trained guard dogs in protecting the bottom line. They should take a few steps back and remember that the men they now portray as liars and frauds are the same men they once held up as heroes and role models. They are the same players who built the power and popularity of the NFL brand to which their own fortunes and prestige are linked. Now they are sick from the latent effects of brain injuries they sustained from their years devoted to football. It’s time football remembers its debt and starts giving back.